Since beginning my Master’s degree in the fall of 2017, I’ve had the opportunity to explore a few areas of interest and to delve into topics that were terrifying to me. The last three semesters of classes I’ve taken with Dr. Alec Couros have led me down a path that I would never have imagined possible. Instead of fearing technology and its implications on education, I’ve learned to embrace ed tech and use my curious nature as a means to an end. One thing that lead me to where I am right now is a shift in my thinking about “Schooling” and “Learning” … and how we can design learning environments that will help our students learn in the 21st century with an antiquated model of school. One of the big questions we discussed in EC&I 834 is how we can best design learning environments for students – regardless if the environment is in person, blended, or online. If I’m being completely honest with you, the traditional “school” is not an environment that is good for all of our students. No matter which school or which classroom or which teacher we put under a microscope, there is a good chance that at least some of the students are not learning. WHY? Because of how the environment is designed. In thinking about and searching for inspiration about how I can help my students best learn in the classroom of today, I stumbled across a graphic that was designed in response to a blog post from George Couros. The graphic really reminded me of the conversations we’ve had in our class, and the statement “If done the wrong way, school can actually go against what is needed for learning” from Couros’ blog resonated with me. I agree with this so much. There are bigger issues that some of our students are facing today, and they need to have a flexible learning schedule. Maybe I’ll draw some fire for saying this… but it’s my opinion. Sometimes it feels like we as educators are being asked to push kids through the system as quickly as possible. Didn’t meet the outcomes at grade level? Doesn’t matter! Social promotion indicates the students will fare better with age alike peers. Until the student has missed so many outcomes that it is impossible to do the work … and then what? As a high school teacher, I see the implications of this every single day. Each student learns differently and at a different pace than their peers. That’s totally acceptable and I can roll with that. HOWEVER… we as educators are also being pressured to have all of these students graduate in a set amount of time. So we’re supposed to change the delivery and adapt to the circumstances … but we need to have them all reach the finish line at the same time? Why? Wouldn’t it be better if students could access the type of learning environment they need to be successful at all levels of their education? I really do think that this is where Online or Blended learning can make a huge difference to students. By utilizing ed tech and designing learning environments in a variety of ways, we have the ability to reach more learners! Prompted by the need to help my students who are struggling to attend school, I dove into the design of an online Pre-AP ELA 20 course. As I continued to work on my course and after getting feedback from my peers in EC&I 834 as well as some of my colleagues IRL, I am confident that I am indeed onto something that could be REALLY GOOD for many students. Why should geography or school size dictate who has access to a particular course? Why is attendance at a brick and mortar school a requirement for learning? Shouldn’t we explore options for students who need accommodations? I have a dream… or maybe the better word is GOAL. Online AP classes – blended! Sounds like a James Bond-style recipe for success, in my opinion! It is my hope, based on my experiences in my Masters program so far, that I can continue to design learning environments that will help my students and other students in Southeast Cornerstone Public School Division. There are quite a few schools in our school division, but only a few that have Advanced Placement ELA classes. I would love to be able to have more students accessing these courses so they have the opportunity my face to face students have – to advance their critical thinking skills and learn university level material and strategies, all while completing the SK Ministry of Education ELA curricula. A bonus that they get as a result of their hard work is the opportunity to take the international AP exam in their grade 12 year – success on this exam could allow them to bypass the introductory English courses at whatever post-secondary institution they choose. saving them time and money in their program! I know there are some barriers to having these courses available to all of our students. Accessibility may be an issue for some. Our school division works hard to ensure that our schools are connected and have appropriate bandwidth to use for learning purposes. Many students live in areas where accessing the internet from home is slow, costly, or isn’t always reliable. Therefore, for some students, most of the learning would likely need to take place during school hours. It might be a logistical nightmare, but maybe there is a way to do a synchronous online component where we all meet up and collaborate! I’m not naive. I do know that this all will be much more “difficult” to make into a reality than I am implying here. Perhaps the most important aspect of this whole situation is the desire to make it happen. I became a teacher because I care about learning. I remain a teacher because I care about PEOPLE. 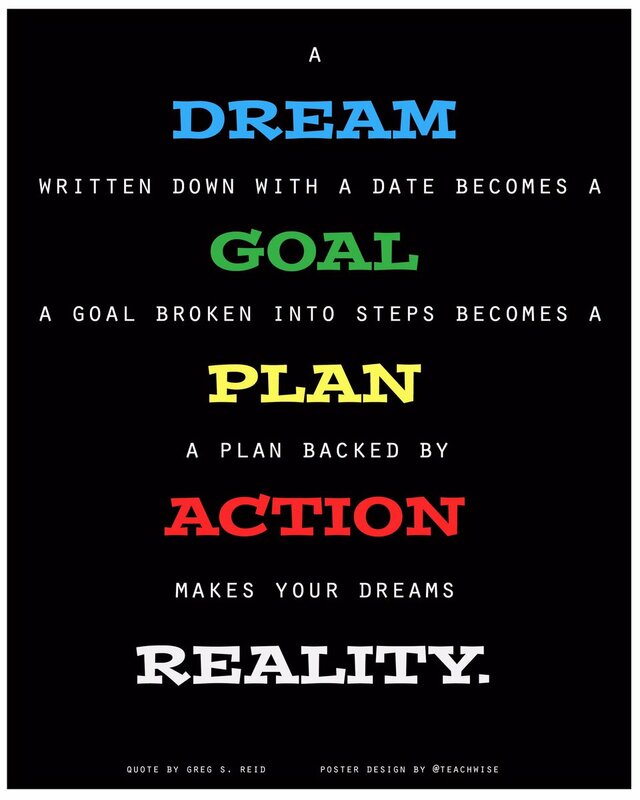 I guess I have some goal setting and planning to do in order to make my dream into a reality. Thanks to Alec and my classmates for another great semester of learning! You all inspire me to be a better educator! Our introductory blog prompt immediately brought to mind the “Hello My Name is” badges that I’ve had to wear over the years and dredged up those feelings I had (and somewhat still do!) when confronted by those blank little stickers. GAH! I’m going to meet a bunch of people I don’t know. Will they judge my writing when I write my name on this sticker? Will they be able to read my writing? Will they think I have a weird name? Will they be able to pronounce my name correctly? Where do I place the sticker? Will it peel off? They don’t have my favourite colour marker – now what? What am I doing here? Will anyone notice if I leave? How soon until I can go home? Maybe you can tell from my strong reaction to name tags that I worry about silly things and that my mind usually has a lot of “tabs” open at any given time. Maybe you can tell I’m a bit of a procrastinator on top of being a perfectionist. Don’t get me wrong – I don’t put a lot of stock into what other people think about me. That’s their issue and I try not to let other people’s issues affect me. I do enjoy meeting new people. I enter new situations with an open mind, wondering what new things I might learn or new people I might get to know, or what a situation or event will be able to teach me. But I digress. I’m supposed to tell you a little bit about who I am. I am a small town girl at heart and grew up in a small village called Colgate south of Weyburn. I wanted to be a teacher before I even started school. I corrected my mom’s grammar from the age of three and told her when she skipped words when she was reading to me… so she made me read to myself. School was (and still is!) my happy place. Grade one literally got me hooked on phonics; I loved those workbooks. They made so much sense to me. I began university at 22 with a young daughter, and worked hard to complete my Education degree. Today I am a wife, mom, teacher, coach, and student so time is always of the essence to me. I don’t like the word “busy” … but I spend quite a few of my waking hours and a few of the supposed-to-be-sleeping hours completing tasks or managing my responsibilities to keep all of the balls that I’m juggling in the air. I chose to pursue my Master’s degree in Curriculum and Instruction because I believe curriculum design is vitally important in our ever-changing educational climate. Having been involved in the committee that redesigned the SK ELA 21 curriculum, I know the process is lengthy and takes collaboration, dedication, and commitment from those involved. After curricula development froze a few years ago, we found ourselves having to make decisions within our school and our humanities department about what we needed to include for our students and what was outdated and did not make sense for our students. This is where my interest in curriculum design began and what got me set on pursuing my Master’s. What lead me to enrolling in this class? My journey started with choosing a class to take for Winter 2018. To begin with, I kinda really sucked at technology. I took a Computers in Ed class in my undergrad degree (from Alec Couros, of course!) and did decently. But that was many, many moons ago. Technology has evolved at lightning speed over the last decade or so since I completed my Bachelor’s degree. I was having trouble keeping up. The students definitely knew more than I did and that was frustrating! Thankfully I had a great admin team and a fantastic, supportive ELA department who patiently helped me navigate the digital waters. I wish educational technology came as easily to me as those phonics workbooks of yesteryear did! That lead to my decision to take a class from Alec – EC& I 832. Double bonus – I would learn about Digital Citizenship and Media Literacy while NOT having to drive to the city for class! EC&I 832 was beneficial to me in so many ways. The learning curve was huge but I hung on and ended up loving the class by the time it wrapped up. I liked it so much in fact that I knew I wanted to learn more! I signed up for EC& I 833, which focuses on the Foundations of Educational Technology including History, Theory and Practice. I was feeling so much more confident with technology that I even signed up for a workshop through the Saskatchewan Professional Development Unit (SPDU) to learn about Embedding Technology in the Secondary ELA classroom. I had a fabulous fall 2018 semester and learned to embrace technology and what it can do for me and my students. Learn about creating an online classroom by looking at examples and analyzing how I could most effectively design an environment that would suit my strengths while still being a great learning experience for kids. Determine what elements of a traditional classroom could be incorporated in an online environment and try to recreate some of the best components of face-to-face learning in that online environment. Research and explore LMS (learning management systems) and determine what would be the most effective LMS for the type of online classroom I’d like to create. Continue my growth and learning in the realm of educational technology. Though I know it will be a fair amount of work, I am looking forward to the challenge!